Our White Tulip silk flower arrangement is a stunning handmade display presented in a ceramic pot. Our silk flowers are handmade with incredible detail. As real as they look they are made from silk so no care necessary. They will stay looking beautiful for years to come. 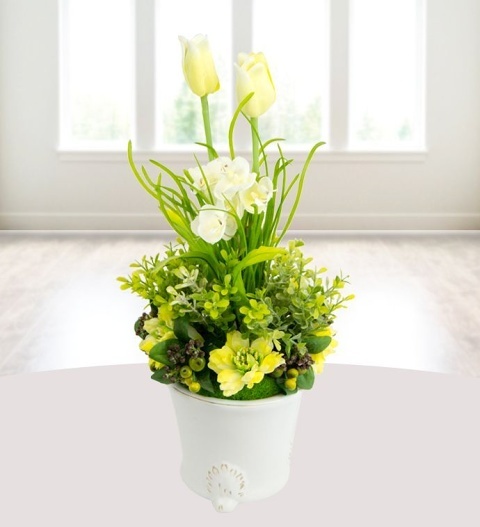 Perfect for all occasions, the White Tulip pot arrangement is available for UK next day delivery.